I was in my city’s Barnes & Noble store about a month ago, and I figured it’d be a long shot, but I thought, what the hell, why not give it a try. My dad had been looking for a long time for a book of poetry by a Spanish writer named Gustavo Adolfo Bécquer. Believe me, it’s a hard thing to come by. Browsing several shelves for nearly half an hour, I finally found the Spanish section, and the sight I saw broke my heart. First of all, I spent so much time looking because there were no labels over the tops of the shelves to indicate a Spanish language section. Secondly, there were only two cases front and back dedicated to Spanish language books. And to add insult to injury, everything was in disarray and out of alphabetical order. Something about this just didn’t sit right with me. I mean, I know throughout the day people pick things up and put them down, not necessarily where they belong, but there’s people working in the store periodically checking this and fixing the situation. Well, maybe I just happened to catch it at a time when someone hadn’t checked in a couple of hours, so I thought, let me just give them a heads up. Naturally, I was annoyed at this attitude, but I tried to remain polite anyway and reiterated my predicament of all the books being in disarray and out of order. At this, she took a glance back at the books, shrugged her shoulders and said, “Yeah, no one really worries about keeping up this section.” With that, she walked away. My mother was with me, and I couldn’t help but look at her with so much fury in my eyes. I’d been in the store’s restrooms and even those were in better condition than the Spanish language section. I get it. It’s a niche audience, they’re not big sellers, and probably not that many people browse the area on a daily basis. But it’s still a part of your store, and every customer should matter, no matter what their background or language they speak. And yes, that kind of blasé attitude toward those books is a personal affront to those customers. It’s telling us we don’t matter. Fast forward to last week, which was about a month later, and the optimist in me said, Go ahead and check it out again. I still didn’t find any books by Bécquer, but there were now four full cases with Spanish books, labels that read Ficción and Religión, and they were alphabetized properly. I smiled at my mom. It’s not perfect, but it’s a step in the right direction. 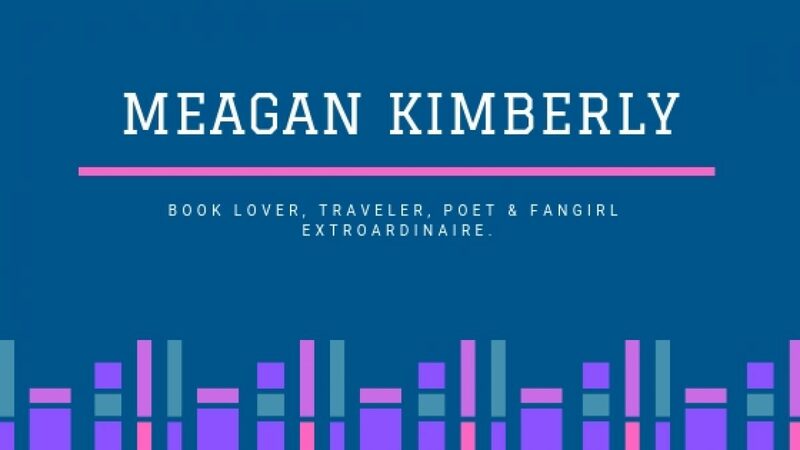 My name is Meagan, and I’m a writer. What do I write? A little bit of everything honestly. I love to write poetry, fiction, nonfiction, and I’ve even dabbled in script writing. However, it’s not just creative writing I’m capable of. As my interests include books, television and music, I enjoy writing reviews of such things. My current life goal is to work in the publishing industry. I’d like to be an editor at a publishing company, and perhaps some day, even run my own press. I’ll start small though and begin with running my own blog. Here in this blog I’ll make weekly posts about anything to do with reading, books, and writing. I’ll include a range of posts from news in the publishing industry, reviews, personal essays and my own poetry and fiction. I’m writing this on a four day weekend courtesy of Hurricane Matthew. So to all my fellow readers and writers out there in the same boat right now, stay safe and happy reading/writing!